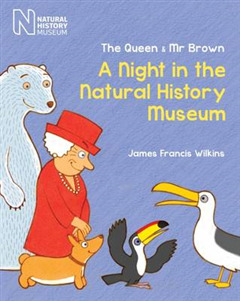 Britain's monarch is back for another animal adventure as she and her loveable pet corgi Mr Brown visit London's Natural History Museum after hours. In the dead of night, when all the visitors have left the Museum, the two friends go in search of the Queen's secret passion - natural history. They encounter enormous woolly mammoths and giant dinosaurs.But it soon transpires that they are not alone in the Museum after all and they find out, at first hand, the unique talents of some of the wondrous creatures in the animal kingdom. 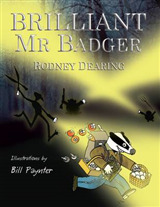 When they display their own very special skills, the Queen and Mr Brown cause quite a stir among their new friends.This is an engaging and uplifting story which is full of surprises and beautifully illustrated.  It is great to read aloud and also highly suited to encourage children to read on their own, and there are fantastic facts about the amazing abilities of animals throughout. The book is the follow-up to the popular 'The Queen and Mr Brown: A Day for Dinosaurs'.